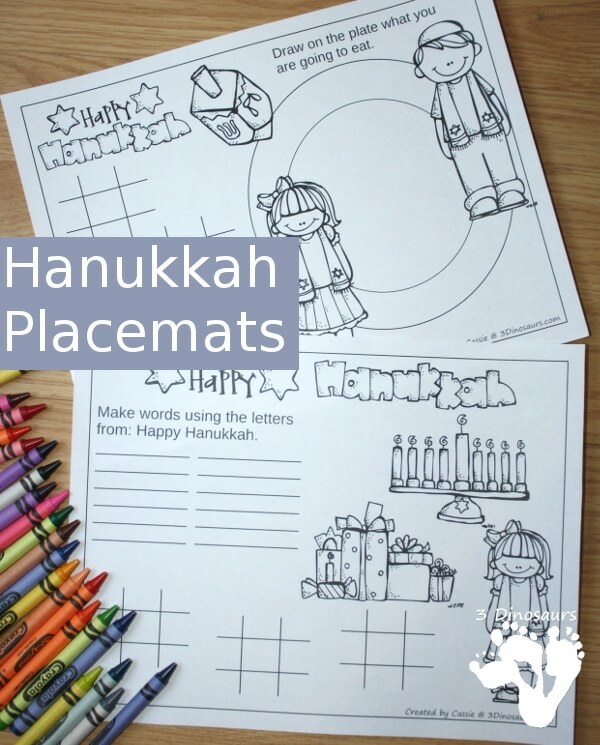 Keep little hands busy with these free Hannukkah Placemats at 3 Dinosaurs. You could use these during any of the 8 nights of Hanukkah. It is something fun to add to your meal!